Best Visual Merchandising Service Professionals, Contractors, Designer, Decorator in India. -We provide Customized Window Display Service all around the World. 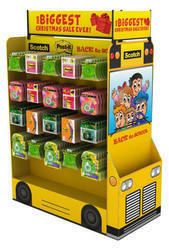 The point of sale is an ideal location to remind customers of your products and convert last minute sales. Anima Advertising gives you the entire gamut of services from design to creatives and fabrication. Visual Marketing at Sanctify offers you tested strategic approaches that can take your online business to the next level. Sanctify helps you to stand out from the crowd to communicate your message and make a real connection with your target customer through Kiosk, Banners, Hoardings, etc. As a notable name of this business sector, we are massively indulged in offering to our patrons’ Visual Merchandising Services. Due to our devotion and specialization towards the quality, these services are enormously valued by our clients. Apart from this, these services are executed by nimble personnel as per the patrons’ demands. We are very happy in letting you know about our very strong merchandise team. We have a separate merchandising team who can handle all kind of orders with effective communication both with buyer and vendor respectively. We can assure that you will get on time update and transparent information’s all time which we feel is our key to success. Priya Events designs and produces merchandise to include the display units, POP, Dispensers, Shop fronts, Counter Fronts, Pamphlets, Product Brochures, Danglers, Cut outs etc. PRIYA EVENTS also contracts and maintains brand merchandising at retail outlets. Engaged in manufacturing and supplying retail merchandising. Often referred to as “trinkets and trash, these giveaway items get a bad rap. If smartly conceived and executed, promo merch is one hard-working marketing tool. Tell us who you want to reach, and we’ll come back with the right items to make an impact. 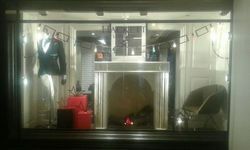 Window displays, signage, in-store displays. etc.